I speak often of Sister Pat Graham (she usually does a workshop each January so watch for updates from me about those) and she's one of the authors of this book. 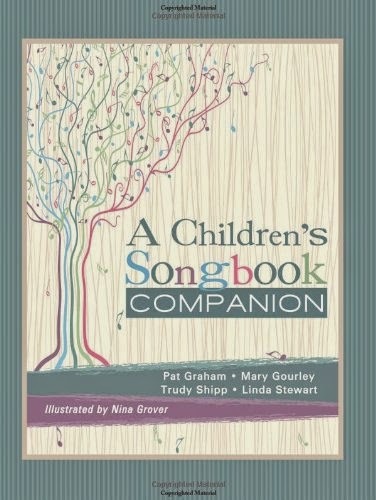 She also wrote 5 Primary songs in The Primary Songbook and was on the committee that it together. She's an amazing and talented woman when it comes to teaching music to children. I use lesson plans from this book quite often and try not to infringe on copyright material by not posting specifics about lessons. So if you ever want to get the full version, you'll need to arm yourself with a copy! ON the Amazon listing for this book it says that it is only 3.5 inches in height. Is that right, or is it a full-size book? That is odd - I've got the book and it's full size - 8.5x11. If it were small, I'm sure the comments would reflect that as well. I have this book and love many of the ideas in it. The only problem I have is not being able to convert the tiny little pictures into full sized usable visual aids. Any suggestions? How do you do it? I take a picture of the image in the book with my phone, then bring the picture into Photoshop, enlarge it to be the size I want, and clean up the image so only the black lines remain. It's pretty easy but I couldn't do it without Photoshop.